Apple products are notoriously difficult to repair. Just check out iFixit’s teardowns: You often need special proprietary tools to get inside the devices, which usually score pretty low on iFixit’s 10-point repairability scale. 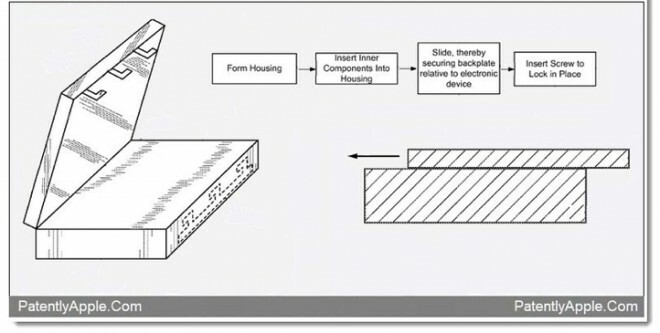 But perhaps future iOS devices won’t pose so much trouble for the do-it-yourselfer, as a recent Apple patent describes a new construction that would make cracking open Apple cases far less headache-inducing. The patent, unearthed by Patently Apple, describes a few different rear cases that could be slid, hinged or tilted to reveal what’s underneath. The casings would be locked in place with screws, latches, hooks or a combination of the three to ensure they wouldn’t pop open when they’re not supposed to. Many Android devices are fairly easy to disassemble and repair, and often feature a backplate that slides or pops off so you can replace your battery or insert a SIM card. That concept isn’t new. But Apple is notorious for wanting to prevent users from mucking around inside its devices, both software- and hardware-wise. For example, 2011 batches of the iPhone featured redesigned screws that require an uncommon Pentalobe screwdriver instead of that normal Phillips-head screwdriver you have sitting in your tool drawer. But perhaps this patent points to a new direction for Apple mobile products. Indeed, because the new iPhone 4S is a world phone that includes both GSM and CDMA functionality, a more accessible chassis design would make it easier for frequent international jet setters to swap out their microSIM cards to take advantage of cheaper wireless rates abroad. Sprint sells its iPhone 4S units with the SIM unlocked, and Verizon can unlock it at your request after 60 days of ownership. Do you wish you could more easily crack apart your iPhone to repair it yourself or potentially swap out the battery or SIM? Let us know in the comments.